To open the General Settings choose 'Options > General settings' from the main menu or press the F10 function key on your keyboard. The General Settings page contains various general settings of the working environment in FL Studio. 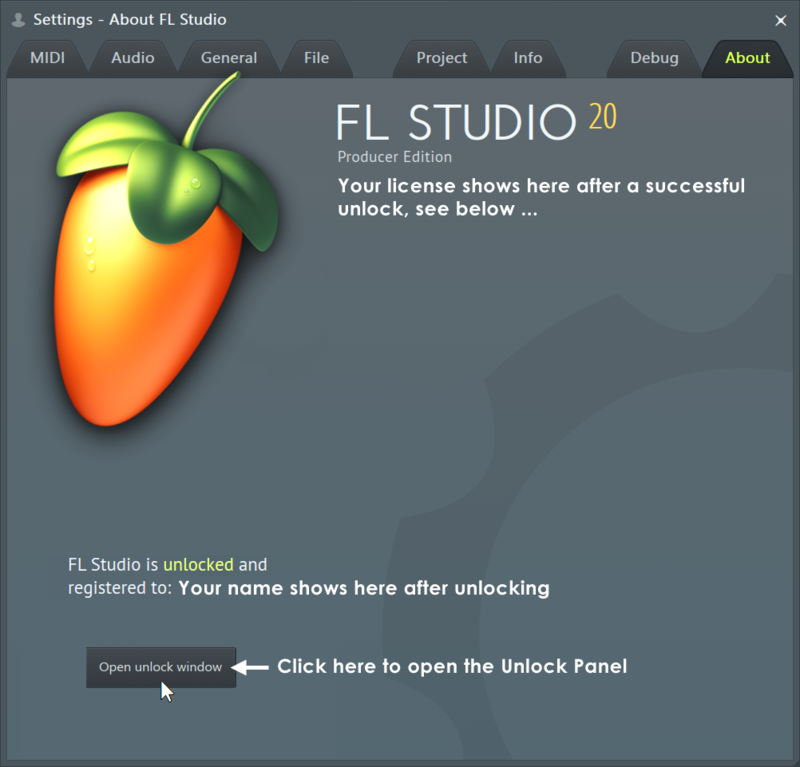 Shows the FL Studio version number, credits, etc. Unlock with account - Enter your Image-Line Account email and password to Unlock FL Studio and any additional plugins/products you own. NOTE: Requires internet access. Unlock with file - Download your FLRegkey.Reg file from your Image-Line account. Left-menu, click UNLOCK PRODUCTS, then the main 'unlock image' to download your 'FLRegkey.reg' file. Save it to a portable storage device. If you need to email the 'FLRegkey.Reg' file to yourself, zip it first. Click 'Unlock with file' on the About panel and browse to your file, select it and Click OK. Restart FL Studio.